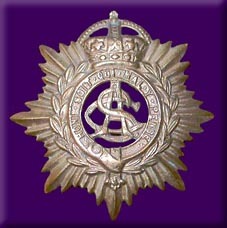 It was only from 1889 that the Army Service Corps came into full independent existence. Until then its twin functions of supply and transport were the responsibility of two separate bodies: the Commissariat and a transport corps whose identity and title seemed to change from war to war. Sir Redvers Buller VC became Quartermaster General with a full time specialist organisation. He set about creating a new professional corps, staffed by specialist officers, to handle the changing supply and transport needs of the late Victorian army. His great work is commemorated in the 'Buller Barracks' which was to become the home of the Corps at Aldershot. The Royal Army Service Corps: A History of Transport and Supply in the British Army.